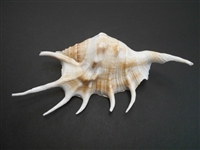 Haition Fighting Conch - Large 3-4" ea. 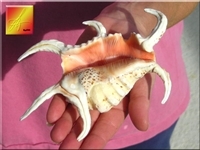 Striped Fox Conch 3 1/2-5" (88-127 mm) ea. 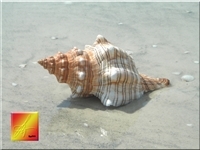 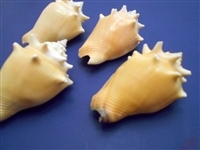 Striped Fox Conch - small 3 1/2- 5"
Striped Fox Conch 5-6" (127-153 mm) ea. 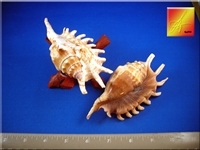 Striped Fox Conch - 6-7"
Striped Fox Conch - 7-8"
Striped Fox Conch 8" and up (196 mm) ea. 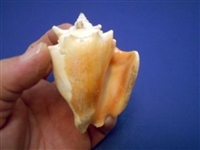 Bahama Pink Queen Conch Shell (Slit Back) 6-7"
These Beautiful Conch Shells have a cut in the back where the animal was removed. 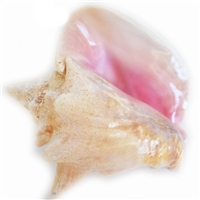 Bahama Pink Queen Conch Shell (Slit Back) 7-8"
Bahama Pink Queen Conch Shell (Slit Back) 8-9"
Size Range X Large 8-9"
These Beautiful Extra Large Conch Shells have a cut in the back where the animal was removed.